What food best represents North Carolina? 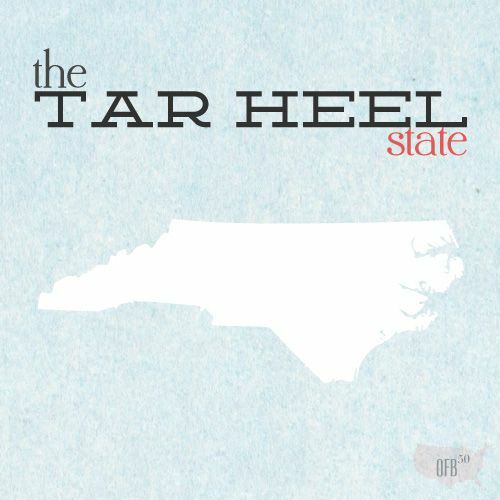 What song best represents North Carolina? How does NC refer to a carbonated beverage drink? If you could take a friend to one place in NC, where would it be? Best aspect about living in NC? Worst aspect about living in NC? Summarize your feelings about North Carolina in five words. We decided to start with the state of North Carolina since it’s currently “home” for us! We can attest that even thinking the word “barbecue” in this state causes instant wateringofthemouth-itis. And it’s a beautiful state… we’re convinced there’s not a place with more gorgeous sunsets. 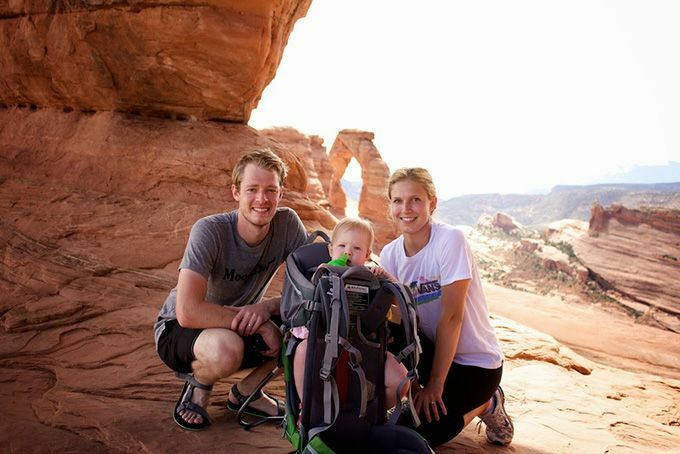 We’re stoked to take advantage of the proximity of beaches, mountains, DC, and NYC this summer. Baby Girl’s gonna get her road-trip on! Barring the lack of career opportunities for Johnny beyond his current gig, NC could become our forever place in a heartbeat. How did these answers line up with your perception of North Carolina? Have your thoughts on the state changed after reading this? Could you see it fitting your forever-place bill? We used to have family that lived out there but they had to move to California when he lost his job during the “great” recession. While I have never lived there I do enjoy the state a lot. There are so many great roads out there to ride a motorcycle on it is sickening. Everytime I go, I get sad when I have to leave. Great summary! While I might be shunned by the motorcyclists, I enjoy a good ride on my scooter on some of the backroads out here. And I’ve barely even left my own town. I had thought about moving to Charlotte, NC in 2005, when my husband & I first got married, but my DH got cold feet about it because he didn’t want to live too far from his friends & family. We are now (8 yrs later) thinking about making a move down south and NC is still on our radar, but so is the ATL area because my parents just bought a second home there to retire in, in the next 2-3 years. Sounds like you still got the NC itch. Atlanta’s less than four hours away from Charlotte, so that’s still plenty close to the folks. From Joanna’s (a true Southerner) perspective, NC isn’t too overwhelmingly southern. In fact, where we live, you have to drive a 30 minutes away to feel anything like the south, so it might be a nice adjustment if your husband isn’t certain about the South. We live in Durham and even though the Triangle is a relatively cosmopolitan area of NC it’s still a bit uncomfortably “southern” for us (being from the DC area and LA), especially when we talk with locals instead of transplants! We actually love living in the Triangle. I’m surprised no one mentioned the perennial ‘highest number of PhDs per capita’ designation – maybe no one but us cares about having lots of PhDs around. My husband can’t get enough of the BBQ and basketball cultures here. Being a Los Angeles-native, there are definitely moments that I feel like a fish-out-of-water. And I actually didn’t know that PhD stat! No wonder I feel like such a putz around here. Great state to begin with. There are a lot of positives for this state. There are also negatives, but what place doesn’t have that. Thanks again for submitting your response. Lived in Raleigh for 23 years and wouldn’t mind going back after our stint in TN! Great hospitals, universities, restaurants, culture, community. The only bad part is rush hour…they REALLY need to figure out an efficient and useful public transportation solution and it will move even further up the ranks! You’re just over the mountains. Well, I guess from Raleigh you’re a ways out, but I didn’t realize how nestled in NC is with some of the Appalachian southern states. And for being a relatively mellow place, I was definitely surprised with the traffic when we first got here. You’d think they’d figure out two-lane freeways in and out of your city’s major corridors won’t work forever. I’ve seen a lot more construction crews lately on the roads, so maybe that’s a sign. Although I have not lived there, climate and geography wise NC seems like a nice state. There is even a company or two that might employ me there, so I may try to move there post financial independence. It should be cheaper and warmer than where I live now, and probably has friendlier people. Cheaper and warmer are always high on our list, and this had both of those things. And the people really are friendly. The locals have a southern charm and the transplants learn to follow suit. Lurve North Carolina! I would marry NC… well, that might be going too far. As a diehard east-coaster turned misplaced Texan, I long to get back to the coast again. My family actually lives in TN, so it would be nice to be within driving distance of them. Sounds like NC is where you belong! We still haven’t taken advantage of the fact that we have a coast within a two or three hours. We’re going to try and make it out within the next few weeks and see what everyone’s been yapping about with this “Outer Banks” place. First off, this series is going to be epic. I like the statistics you included at the beginning. If you get to all 50 states you’ll have to have yourself a nice little separate section that people can refer to when doing research on moving. I’ve never been to North Carolina but I’ve read 3 books now that are based there and I’m convinced I want to live there one day…well maybe not because I don’t like the east coast much. I’d visit in a heartbeat though! Oh, and Darius Rucker is a tool. At least listen to the original by Old Crow Medicine Show. It’s a great song :). I second Old Crow Medicine Show! My boyfriend was a drummer in a Texas-rock band for awhile and Wagon Wheel was always such a fun song to do live. I’m interested to know what books you read that are based in North Carolina, if you don’t mind sharing! I’ve had NC on my radar for awhile, but have yet to travel there and explore. Haha, well the genre is pretty grim. I read a lot of post-apocalyptic novels. One Second After by William R. Forstchen, The Remaining by D.J. Molles and The Remaining: Aftermath by D.J. Molles. The last two are obviously a series so that may be cheating but he describes the weather extensively in the second book. All the local Texas country bands love to cover it. Thanks Chris, those do sound interesting, I’ve added One Second After to my reading list. Looks like the Remaining series is only available for Kindle right now. We’ve had an awesome response with state submissions, so we’re definitely planning on making it a permanent fixture. Of the Old Crow Medicine Show stuff I’ve heard, they’re great. And what did Hootie ever do to you? I loved this review I live in NC and have been here for almost 3 years. It really is a great state with lots of opportunity for things to do! I live in the Triangle and I love how much of a foodie town each city is – there are always new restaurants to try. And then there are also tons of free activities – parks are EVERYWHERE and we’re only 2 hours from the beach & 2 hours from the mountains. It also really is cheap to live here! Just started following your blog yesterday and I am hooked! I’ve already read probably 30 posts. 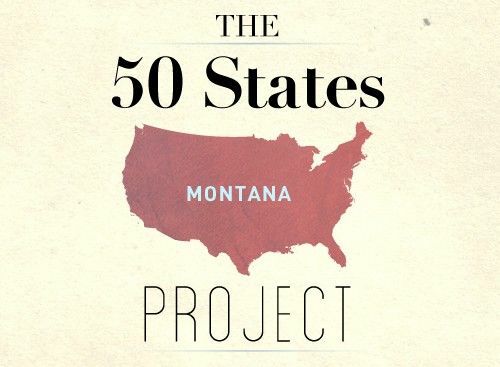 I am SO looking forward to this series – I’ll be curious to see how other states match up! Welcome, fellow NC-er! And thanks for following along. We’re hoping to make those short beach and mountain commutes sooner rather than later and start taking advantage of the awesome location we’re in. But we love the parks and taking night walks out of our cookie-cutter townhouse community and into some neighboring farmland and stables. So cool to have variety like that. Could someone explain what the Triangle is? Also, does North Carolina get things like hurricanes, tornadoes, flash flooding? Is there much of a vegan community/vegan restaurants? Thanks y’all! The Triangle is the metropolitan area near Raleigh composed of Raleigh, Durham, and Chapel Hill. I believe the name stems from referring to the “Research Triangle” of Duke, UNC-Chapel Hill, and NC State. There is a strong tradition of medical research and scientific/engineering industry and Research Triangle Park, located between Durham and Raleigh, is a hub for and incubator of businesses. The occurrence of extreme weather depends on which part of the state you live in since there are coastal, piedmont, and mountainous regions. I have lived in the Piedmont (the middle) for 5 years now and there have been rare, mild instances of hurricanes, tornadoes, and flooding. It is pretty rare for a storm to go so far inland as to give us more than a bit of rain and wind. Durham is a foodie town so I would be surprised if there wasn’t a strong representations of vegan people, but as I’m not involved in that community I’m not sure. Thanks so much for your detailed reply, Emily! we live in northwest nc (about an hour east of boone), and have been north carolinians our whole lives. we get a fair amount of rain, and maybe tornado-like weather, but nothing all that bad. since we live in a rural area it is hard to find specialized menus. our closest trader joe’s (or whole foods) is 45 minutes away. but we’re also close to about a million farmers and can get local produce and meat (which obviously is not vegan. but you know). i think different parts of the state are so different from one another, which is nice. Thanks, Taylor. We are used to lots of rain and sometimes hurricane-type weather, so it doesn’t sound too different. We enjoy rural areas, and supporting local farmers is important. We love being able to get local produce when possible. Everything Emily said. Our experiences have been limited to the Triangle area, but Durham definitely has a Austin-of-North-Carolina vibe. Lots of community activities, emphasis on local foods, eclectic crowds, etc. I’ve liked NC every time I’ve been there – though the last time I was there I was a little disappointed with the lack of crosswalks when I was wandering around. Not sure if jaywalking is illegal, but it definitely didn’t feel safe. Honestly, the lack of sidewalks in our community is our biggest beef. We love taking walks at night and we’re extremely limited with where we can go. It’s probably a minor gripe in the grand scheme of things, but when we move out of this place, we’ll be looking specifically for neighborhoods with sidewalks. I really enjoyed reading this. It made me want to visit N.C.! Colorado will be just fine without you. I promise. Aw! I love this! I love my homestate and my current state so much! It makes me happy to hear people saying the things they love about their homes! Definitely lots of NC pride. That’s always a great sign with any potential future forever-ish place. 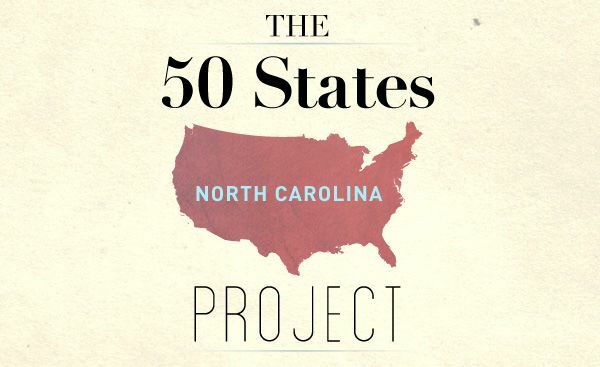 Awww, NC is our dream state, so thanks for starting with this one! My oldest daughter is a huge NASCAR fan and, I lived in NC when I was a youngin (dad was in the military) although I don’t remember much. We think often about moving to the Charlotte area. Now we want to go even more. Y’all should definitely make the trip down and give it a test drive. Our only encounter with Charlotte was for an IKEA stop, so we need to make our way out there this summer and see the rest of the city. North Carolina is one we considered before our last move and we may still, after the girls have gone off to college. Having done school out in the Mountain West, I’m sure Arizona would put up a mean fight. Those desert sunsets are incredible. Aw! I live here too (right in Raleigh) and I love it! Seriously. I couldn’t imagine living any where else. Whole lotta NC/Triangle love going on here. Now that the cold has snapped and our Baby Girl is letting us out a little bit more, we’re finding more and more we love about the area every week. I can’t lie. Every time I think of North Carolina I think of Nicholas Sparks…in a good way. I just always imagine a beautiful sunset, cottage-style homes, people riding bikes along the charming downtown square, picnics on the beach, boat docks, guys in khaki’s and girls in sundresses, everyone has a lab. I’m sure like almost all states, some of the stereotypes are true, but reality is a little less… quaint. 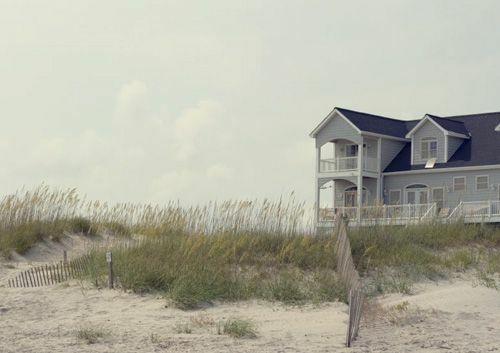 I would definitely love to visit the Outer Banks for vacation someday. Quite a few of your imaginations aren’t totally off. Although I’m not quite sure everyone has a lab. I’ll have to do some digging to fact check that one. We still haven’t hit the Outer Banks yet, but you better believe it’s on the top of our list this summer.